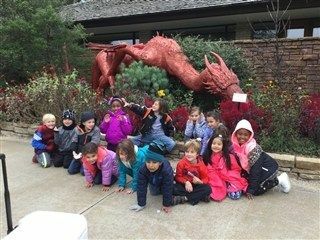 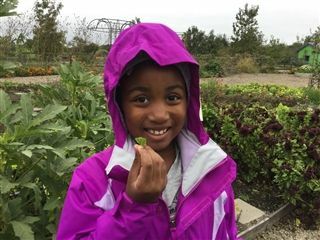 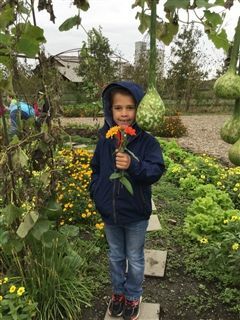 Cool temperatures and a steady drizzle didn’t dampen a trip to Powell Gardens for grade 1 students on Tuesday, October 10. 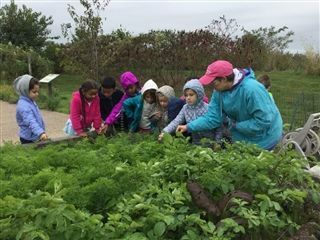 The field trip was a culminating activity for their study of plants, which included identifying parts and functions of plants, many of which they observed while at the botanical garden. 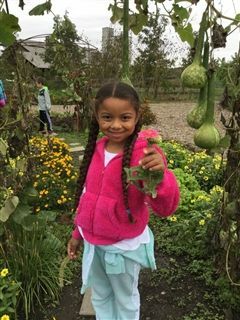 First graders also extended their plant knowledge by applying their five senses to smell, taste, touch and observe various herbs, flowers and shrubs.